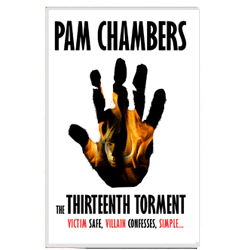 Author of a new Detective Crime Thriller set in the world of a very specialised Police Criminal Investigation Department, The Thirteenth Torment available for digital download from iTunes, Amazon and Smashwords. Follow me on Facebook and Twitter or subscribe to my newsletter to keep up-to-date with the latest news and releases. You can also email pam@pamchambers.co.uk if you have any questions or comments.